Preheat oven to 400 degrees. 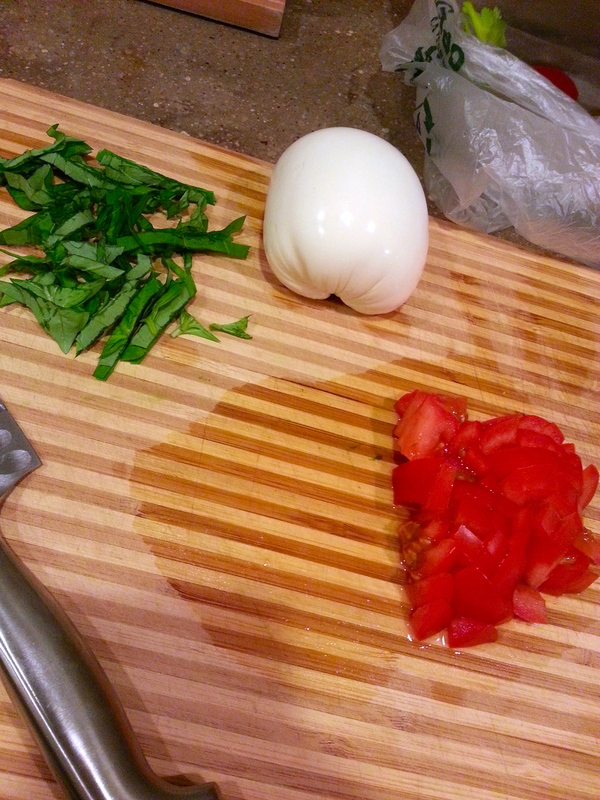 Add your diced mozzarella and tomato in a medium bowl. 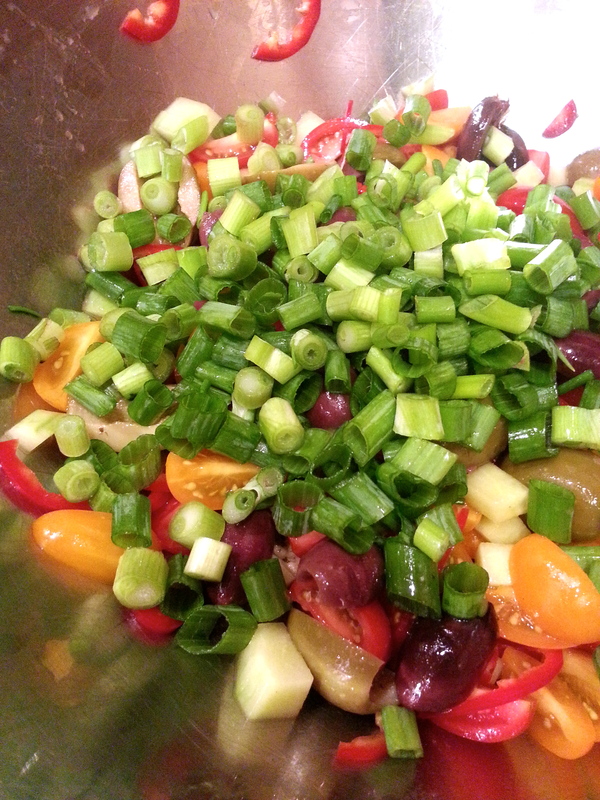 Add the olive oil and toss to coat. Add crushed red pepper, salt and pepper to taste. Prepare two muffin tins by spraying with non-stick spray. Taking two wrappers at a time, rotate the top one a quarter turn and press both wrappers into the muffin cup. Continue to fill each muffin cup until all 24 cups are pressed in. 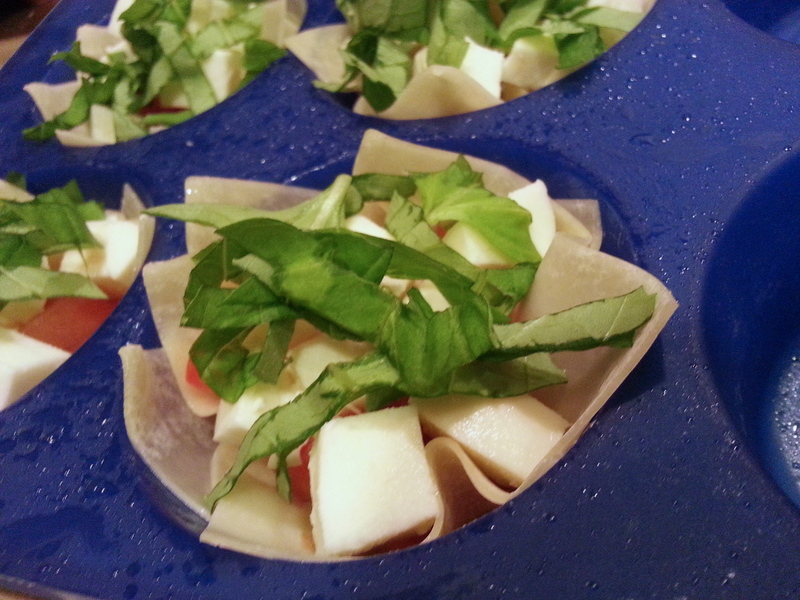 Equally spoon mozzarella mixture into each cup and top with sliced basil. 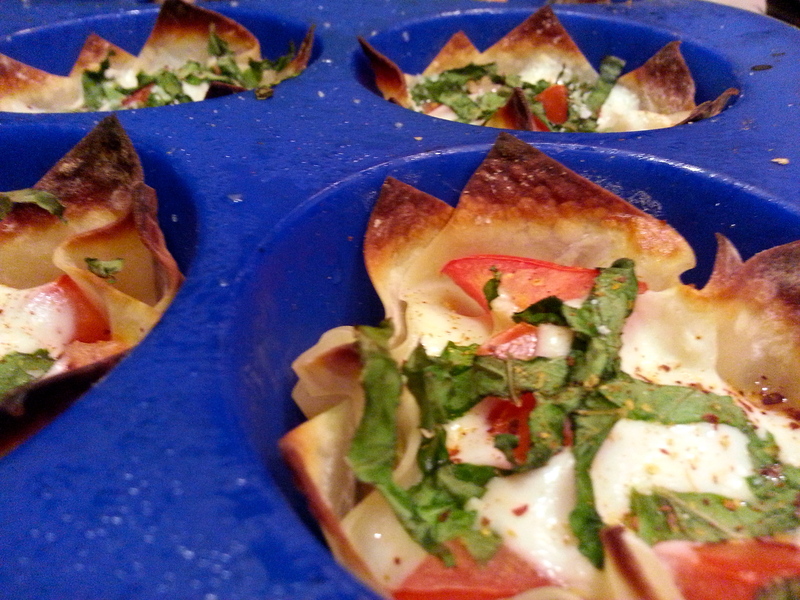 Bake in the oven for 10 minutes or until cheese is melted and wrappers turn golden brown. 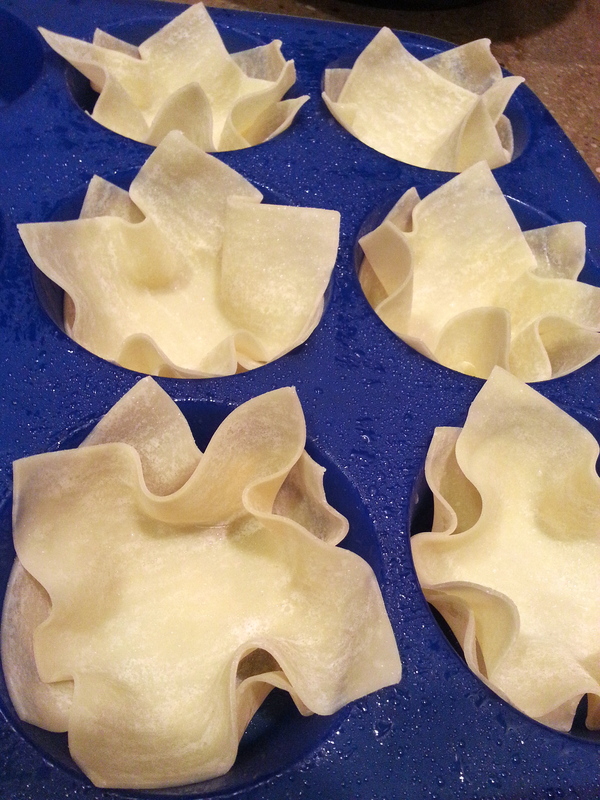 note: this makes 24 wonton cups – enough for me. Ok enough for 8-12 people. I wasn’t going to serve a salad at Thanksgiving this year. It’s unnecessary really, with the amount of food that gets served. My husband would say that it just equals more plates to wash. But there is a comfort level for me, of sitting down for a few minutes and gathering my thoughts before serving the whole meal. This year was no different. I was super organized given how late I shopped for everything. Maybe it is because I have gotten more comfortable with hosting Thanksgiving over the years. But inevitably, something goes awry, and this year it was my new oven. At some point between heating up the cranberry sauce in the microwave (which doubles as a convection oven I have yet to use), and checking on the turkey in the regular oven, the display message on my oven panel decided to change. It wanted to know what my probing temperature was. The jokes ensued, but I wasn’t laughing. We couldn’t shut it off or cancel out of it. I mean really, now? My husband and my sister were hovering over the panel, and if I kept hearing that damn beep one more time I was going to lose it. It was like a button that said ‘press me‘ and that they did – over and over and over again. So I tried the circuit breaker and shut the oven down, only to be faced with it remembering what it was doing prior to being shut down when I reset the circuit. So I retreated to my office to look for the stupid user’s manual, but I couldn’t find anything on probing temperatures. I went downstairs to find my husband and my sister now with their heads in the oven, cracking jokes about looking for probes and if the probe looked big enough….I think the exact term was “prob-y enough”…shoot me now. I finally found one line in the manual – not on how to cancel out of this mess – but how to enter the non-existent probing temperature and hit bake, then off, and just like that, we were back to normal. My side dishes then got to finish heating up, and so it was time to sit at the table. 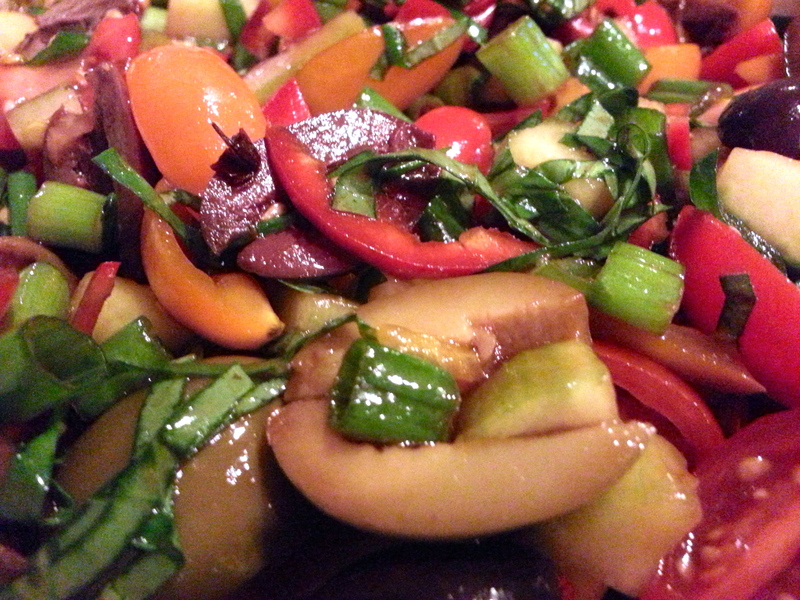 I was so happy to just serve a nice salad that didn’t need to be heated or baked – just served. And I had my two minutes of sanity back. note: I wash my chopped lettuce in the salad spinner and divide onto the 8 plates. I have been serving the dressing at the table so people can decide how much or how little they want. The original recipe calls for you tear the lettuce and dress the salad before serving. Either way is fine. 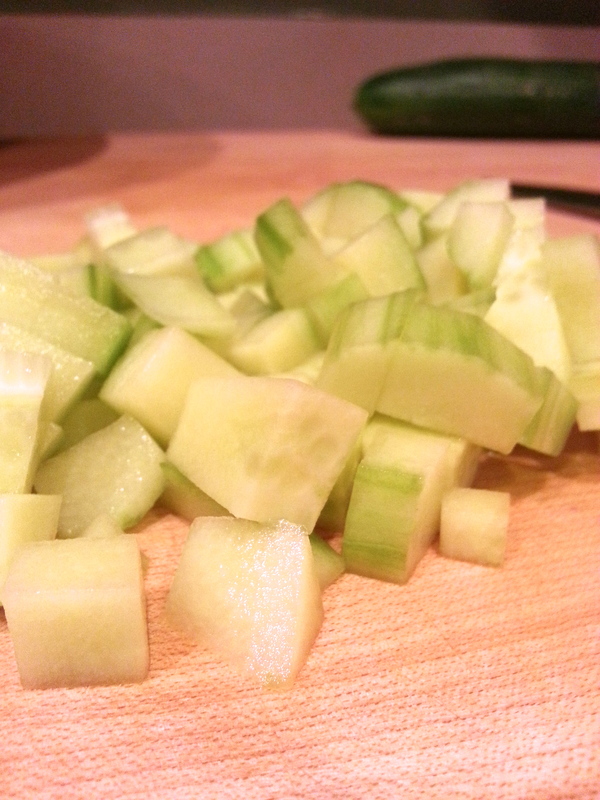 Coarsely chop the lettuce and clean in a salad spinner or colander. Dry on paper towels if needed. Divide lettuce onto 8 plates. 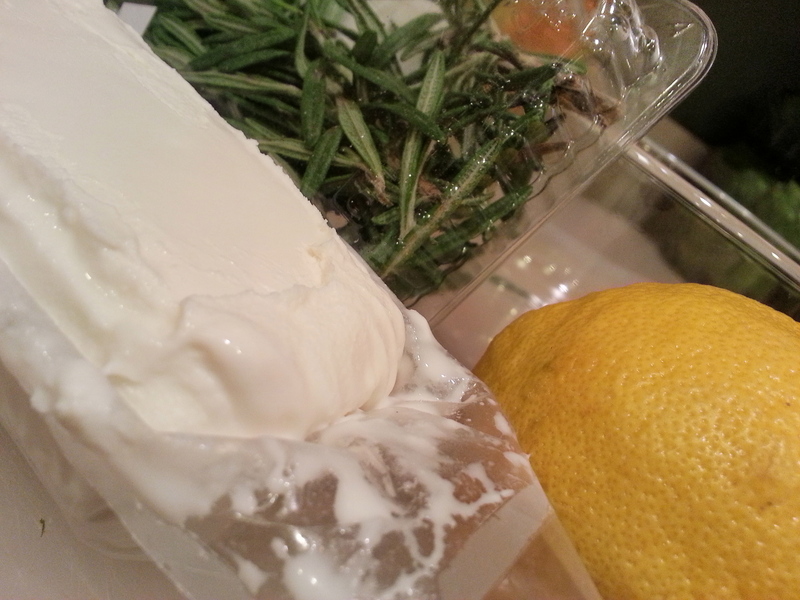 In a medium bowl, stir together the goat cheese, 2 TB hazelnut oil, 1/2 tsp of rosemary and 1 tsp of lemon peel. Season with salt and pepper and red pepper flakes to taste. Place a sheet of plastic wrap on the counter. Place 1 slice of prosciutto in center of plastic wrap. (If slices are torn or too thin, add a second slice to add stability to the roll – which is a good reason to get more prosciutto than you need). Spread evenly, about 2 TB of goat cheese mixture over the prosciutto slice, covering as much as you can. 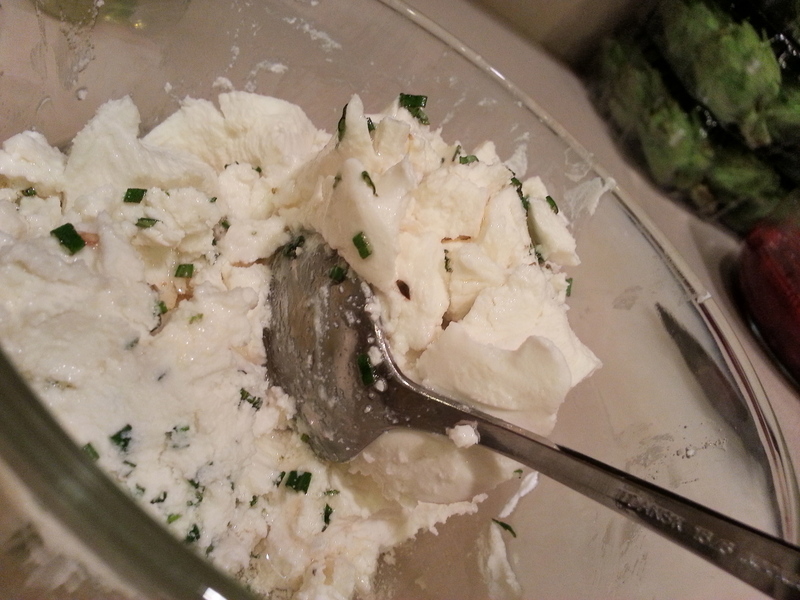 Add a single layer of stemmed baby spinach on top of the goat cheese mixture. 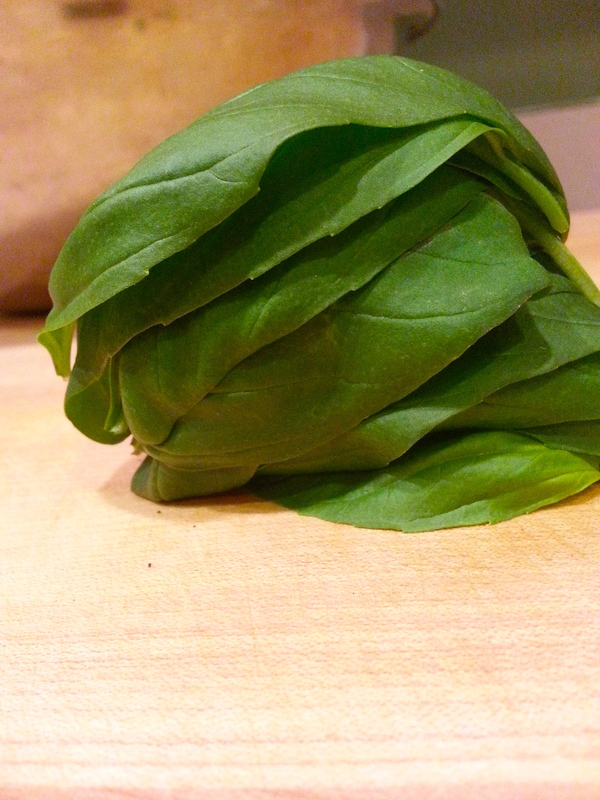 Place another slice of prosciutto on top of the layer of spinach. Repeat the cheese and spinach and prosciutto layers twice more, ending with a prosciutto slice. Starting at the long side, lift the plastic wrap up and over the layer to start rolling up jelly roll style. This can be done with quarter turns. 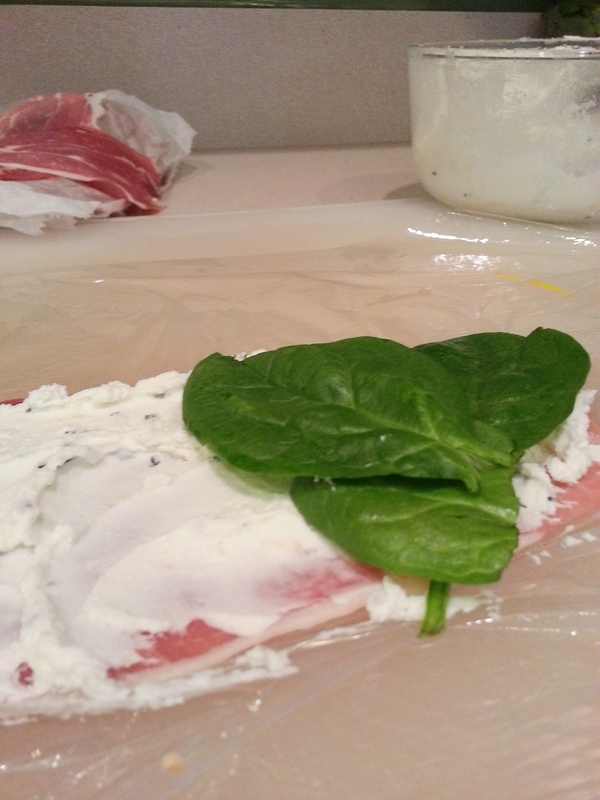 Add a final slice of prosciutto, if needed, to cover the seam of exposed cheese and spinach. Wrap up tightly in the plastic wrap. Proceed with remaining prosciutto, cheese and spinach to make a second roll. Chill until firm, about six hours. Whisk together the sherry vinegar, shallots, sugar and remaining rosemary, lemon peel and 1/2 cup hazelnut oil. Season with salt and pepper. Unwrap rolls and slice each of the rolls into twelve spirals, about 1/2 inch thick. 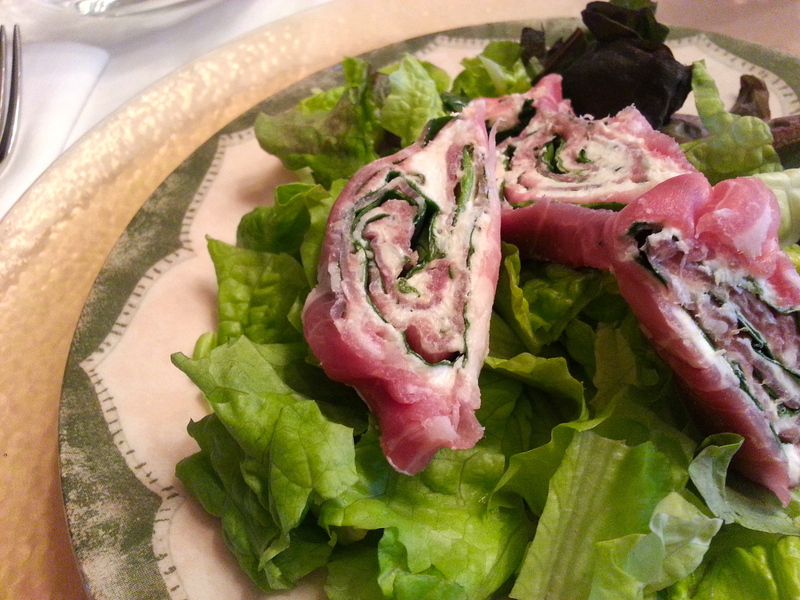 Place three rolls onto each of the eight plates of lettuce and serve with the dressing. Stewed tomatoes. I was cleaning out my pantry, and came across a can that I must have mistakenly bought. I just stared at it. Trying not to be wasteful, I stood there thinking of how I could use it but something in my genetic make up won’t allow it. My mother, however, (insert the saying “bless her heart” HERE), seemed to think that they went with every skillet dinner we had growing up. I just couldn’t get past the weirdly shaped, skinless, lifeless chunks. They looked like someone beat the life out of them and then canned them up because no one else wanted them. 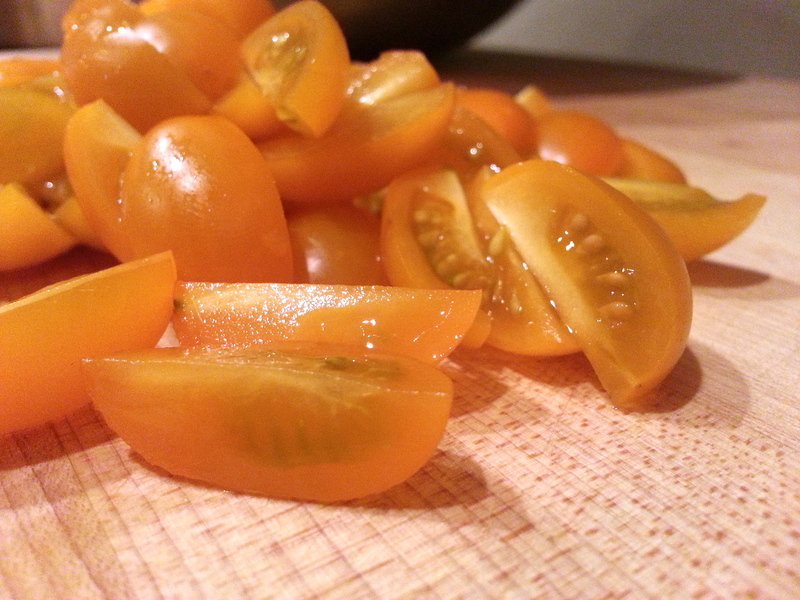 I love tomatoes any other way – sliced, diced, raw, sauced – oh wait, that’s me! So anyway, they often got picked around at dinner. Now, as an adult, I am laughing at myself because I still can’t open a can of stewed tomatoes. I just can’t. But who needs them? Like I said, there are so many ways to eat tomatoes. This recipe can go a few ways. 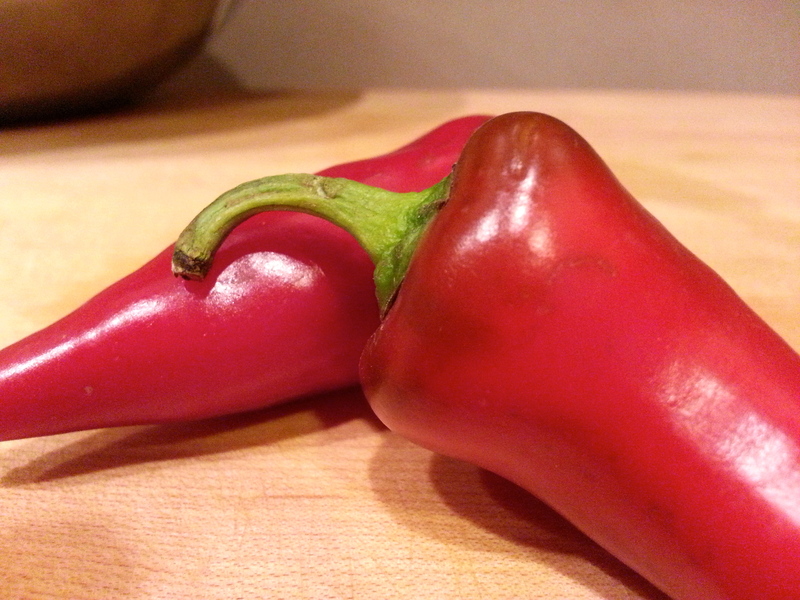 It can be a jalapeño type salsa made with lime juice or red wine vinegar, or turn it into a salad with feta and orzo. 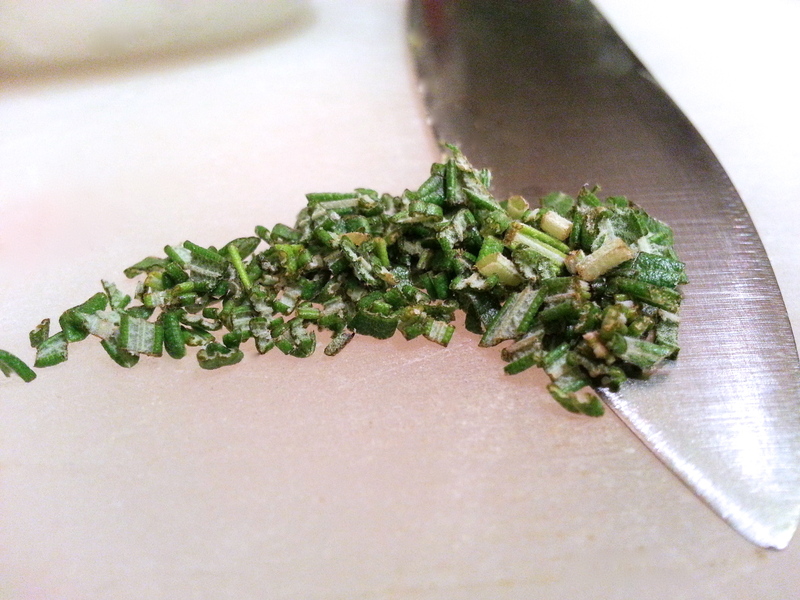 But the number one tip is to us the best ingredients you can since everything is fresh. 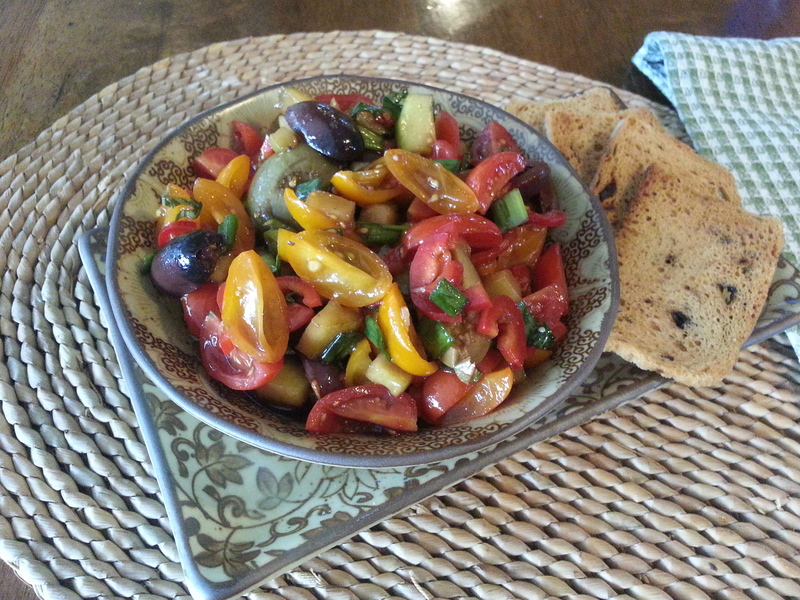 I also prefer to use grape tomatoes since they hold their shape better when mixing everything together, but use diced if you prefer. 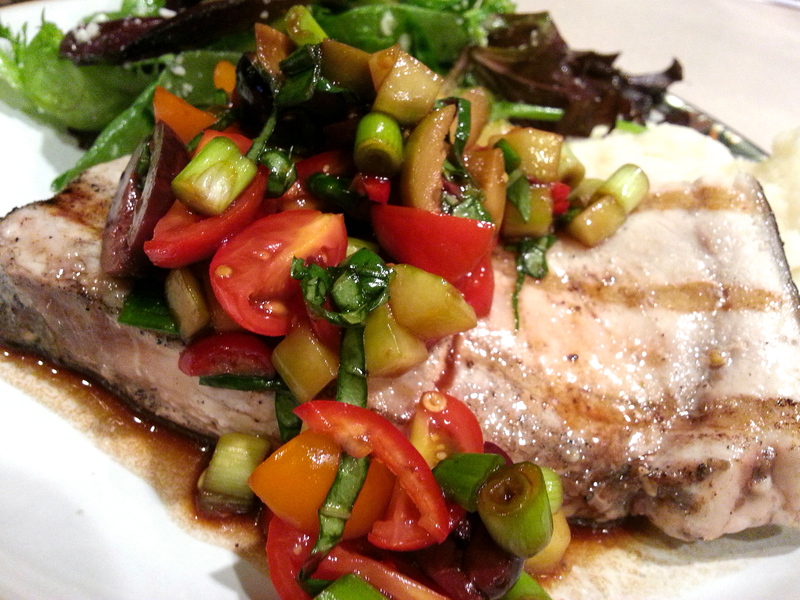 This one was made to go with a swordfish dinner we were having. 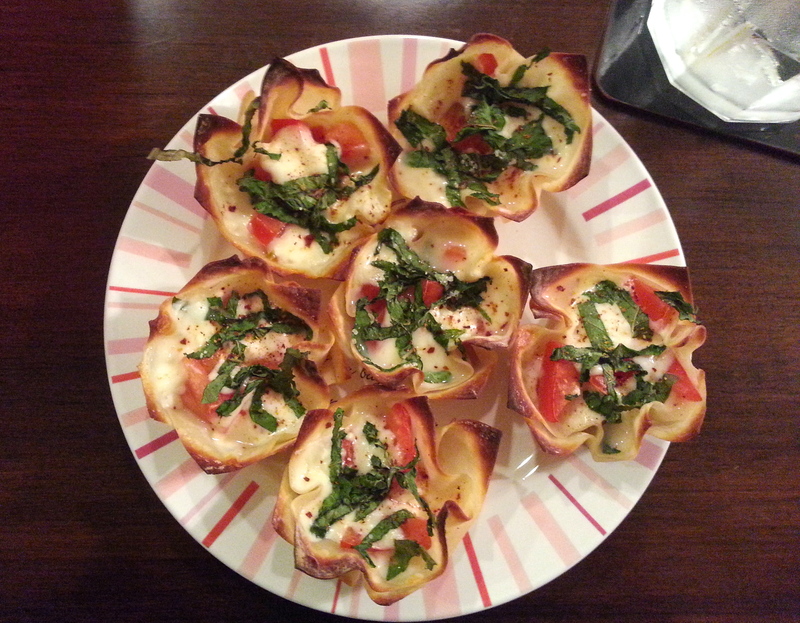 It was so good, that I had to break it out again from the fridge a few days later, and have some as an appetizer. Love you mom! 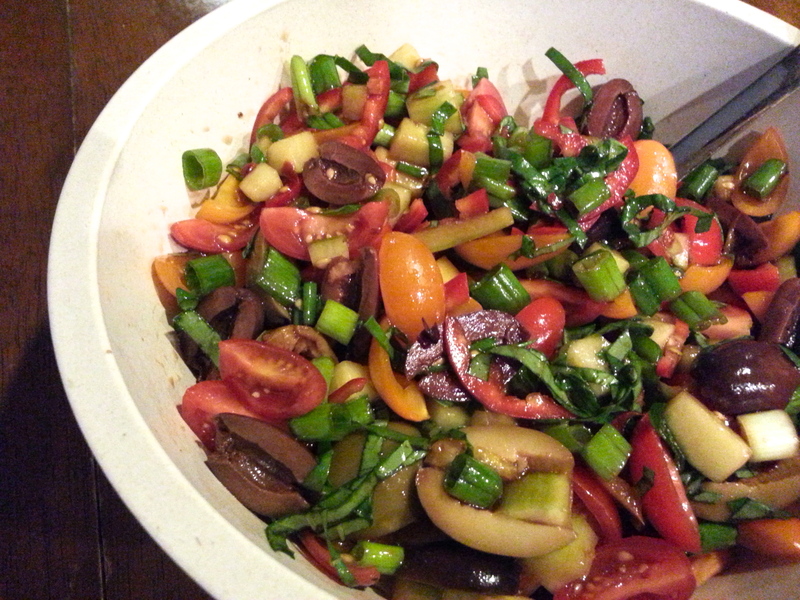 Combine all ingredients in a bowl and drizzle with the balsamic vinegar and olive oil. Add the pinch of crushed red pepper. Add salt and pepper to taste. Mix gently. Serve at room temperature or chilled.